Macgo iPhone Cleaner 1.2.0 - Download Win Apps. 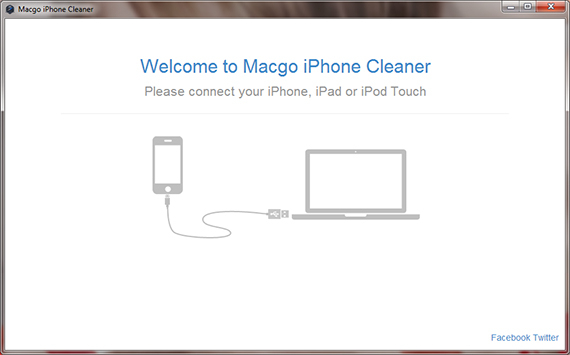 Macgo iPhone Cleaner is an excellent iOS cleaner tool runs on Windows..
MIPC is an excellent iOS cleaner tool runs on Windows. It can clean up most junk files on iPhone, iPad, iPod Touch to free up storage space for more fun securely. Whenever you found your iPhone running slow or running out of space, you can ask help from it. This software can help you reclaim more space that you need for other purposes without deleting your precious info. A powerful software tool created to keep your computer running like new while also protecting your privacy. Privacy and temp files are removed thus preventing them from slowing down your PC or revealing personal information.